Whoa, it was a cold day! 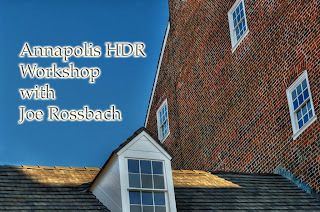 I had the opportunity to assist Joe with a large group shooting some bracketed images in Annapolis, and working in the conference room processing images in Photomatix. (Check out Joe's site for a 20% discount on Photomatix)Everyone was really good about dealing with the cold..weather, and we had a good day there. I helped folks with their gear and making some compositions. I made only two shots, because I was happy just helping others get their shots and understand their gear...but it was another day in the life. Joe is great to work with and a very talented photographer.